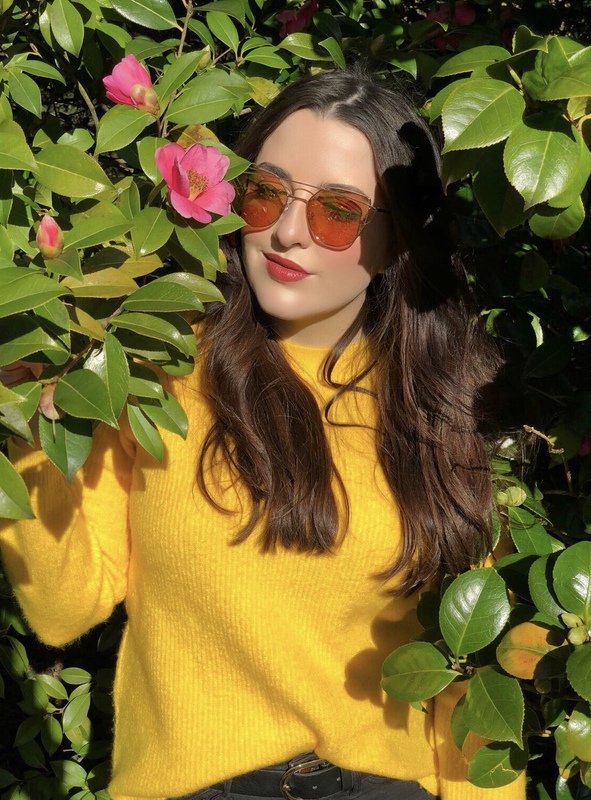 I love a good beauty buy as much of the next lady, and often find myself over indulging in luxury beauty care products where the price tag is larger than the volume of product you're purchasing! But I like to mix things up and try new bits and bobs as I find them, and one of my favourite places to stumble upon new products is TK Maxx. As if their Home section isn't alluring enough, the store also stock an interesting mix of beauty and skin care products. I'm not saying everything in there is amazing, you'll often find half opened products that have been bashed about on the shelves, but every once in a while you'll find a little gem in there. 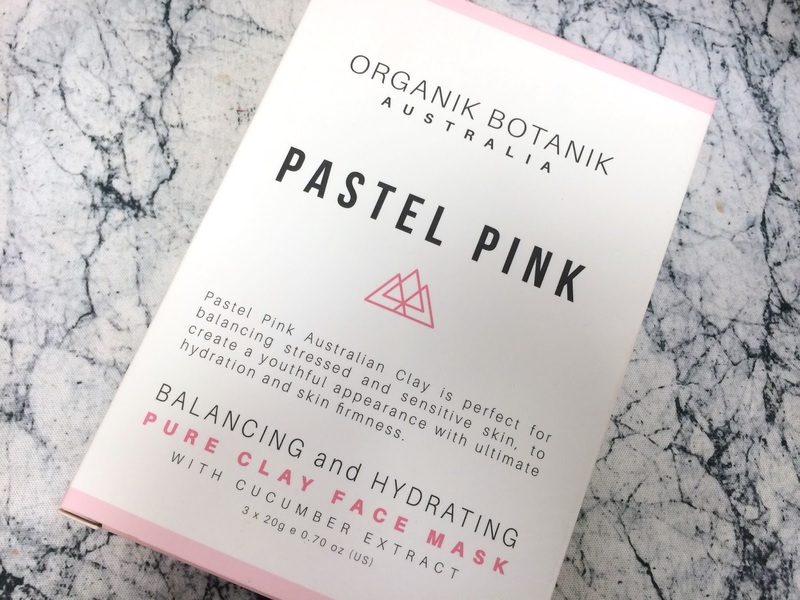 Which is exactly what happened to me the other day when I picked up a Pastel Pink Pure Clay Face Mask from Organik Botanik Australia. Designed to 'Balance' and 'Hydrate' the skin, the brand claims that Pink Australian Clay is perfect for creating a youthful appearance and improve your skin's firmness. It's also supposed to be suitable for sensitive skin, which is a must for me. Now I know what you're probably thinking, who are Organik Botanik? Well I'm with you on this one, there were no matching results from a quick Google search, but I wasn't going to let that stop me from trialing this face mask! Inside the cute packaging were 3 individually packaged sachets of what can only be described as pink dust, with no particular scent and no further instructions inside. At this point I was a little dubious of the quality of the item. I'd never really tried clay masks before, and especially not 'organic' ones made from Pink Clay. That said I followed the instructions on the back of the box and proceeded to mix one of the sachets with a little water. Immediately the dust turned into a smooth, glossy, deep red product that applied beautifully on the skin - I'd definitely be cautious when adding the water though, as a little too much could result in a drippy mess, but if you get the consistency just right you'll have the perfect, streak-free mask. As I waited for the mask to dry, I slowly watched it turn from the glossy shade of red, back to it's original hue of pastel pink. It took about 15mins to dry out completely, at which point my face felt the familiar trapped feeling of a taught face mask working its magic on your skin. A few swipes with a damp cloth to remove the product and the process was complete. My skin did feel soft and rejuvenated, but not tight or dried out as some face masks can often leave you feeling. Who knows whether it actually benefited my skin or not, but it was nice to relax for 15 minutes and try something new at the same time. I'll definitely use up the other two sachets in the box, and maybe even save them for an evening when I can have a relaxing bubble bath and truly unwind. I have to say I like the idea of using a gentle, organic product on my face and will probably pick up further products from the brand if I happen to find any on my journeys. I hope you enjoyed reading my post, do let me if you've discover Organik Botanik Australia and what you think of their products too! Working in jewellery means that I often find myself drawn towards sparkly things. So when I happened to stumble across Estella Bartlett's website, which just so happened to be a home to some of the sweetest jewellery designs I've seen, I had to treat myself to a little something from her range. After a good 40 minutes of deliberation between the different metals, types of jewellery and designs I liked, I finally made my decision and opted for the Rose Gold Plated Unicorn Necklace - because you know why be you, when you can be a unicorn! Upon it's arrival I tore open the parcel packet to find the most delightful packaging. Carefully wrapped in layers of crisp white tissue paper, the Unicorn Necklace was nestled safely in a little presentation packet (which doubles as a card if you happen to be giving the jewellery as a gift to a friend or loved one.) That read 'Treasure Me' on the front underneath where the Unicorn was sitting, which I thought was a really lovely touch! Under close inspection the Unicorn was even sweeter than I expected. You can often find that small charms can lose their detailing and look a little lumpy or shapeless, but this little guy is packed full of character! From the tip of his magical horn to the bottom of his majestic hooves, I can't fault the design nor rose vermeil. I can't comment yet on whether the rose plating will rub off through wear in due course, but Estella Bartlett provide a dinky little care guide inside the parcel that gives you the basic Do's & Don'ts for keeping your jewellery pristine. But for the incredible price of £19.00 I'm so impressed! And will definitely be putting in the effort to store the little unicorn safely and keep him away from perfumes etc. If you haven't heard of Estella Bartlett before, her website is definitely worth a browse! With so many gorgeous designs to choose from you'll probably find it hard not to snap everything up. I've definitely got my eye on the Thorn Necklace for my next purchase! Have you purchased anything recently that's made you smile? Let me know in the comments below! © Marfmallow. All rights reserved.